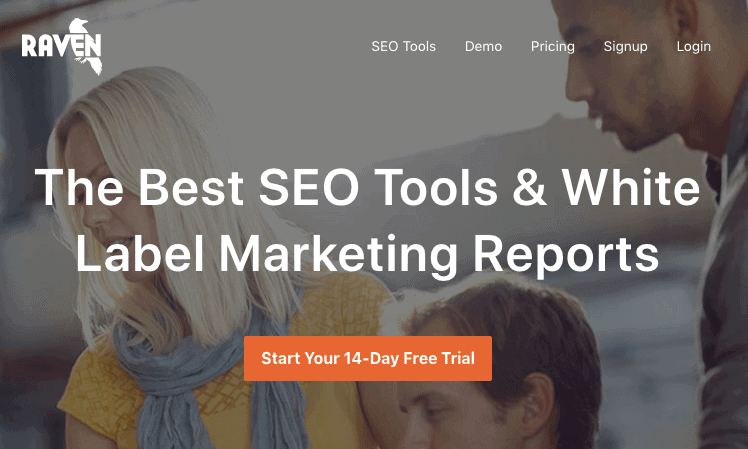 Home SEO 8 Amazing SEO Tools You Must Try in 2019 — Updated! I’m no stranger to SEO tools, having tried countless number of tools in the past few years. Since I deal with several clients with SEO requirements at my digital marketing agency, I’m always open to experiment with new tools or revisit some of the old tools with new/improved features. The year 2018 was no different. I experimented with different SEO tools throughout the year. I liked a few and some were just meh! By and large, the tools featured in this article were my go-to SEO tools in 2018, and I firmly believe they will be setting the trend in 2019 as well. If you aren’t using them already, you are surely missing out. So without further ado, here are the 8 amazing SEO tools you must try in 2019. Ahrefs is my favorite link building tool. The backlink audit carried out by Ahrefs is simply gold standard. The tool conjures up the most accurate backlink data one can obtain and the team behind Ahrefs is working hard to ensure that we get the most accurate backlink data we are looking for. Aside from link building, you can also use Ahrefs to track your position on Google and other search engines on a regular basis. The upgraded version of keyword research tool on Ahrefs (called Keyword Explorer 2.0) is a powerful feature that allows you to obtain tons of keyword ideas to create new content for your website. Granted, it’s more expensive than most of the tools featured here, but the ROI on this tool is pretty damn good. If you’re serious about building high quality backlinks for your site, this is the tool you need to have on your side. Read my in-depth review of Ahrefs to learn more about its features. SEMrush is delightfully easy to use and does most things an SEO tool should do astonishingly well. If you run a digital marketing agency, then I highly recommend you try SEMrush to dazzle your clients with reports that’ll provide a wealth of information about their website and content. I won’t go into much detail about how useful this tool is since I’ve done so extensively at this blog (check out this in-depth review). Suffice it to say, SEMrush is my preferred tool for keyword research, competition analysis, and content marketing. This is yet another tool which I’d recommend to agency owners as it allows you to create interactive marketing reports for your clients’ websites. The interface is not as user friendly as is the case with the other tools in this list, but its features more than make up for its clunky design. Having said that, Raven Tools is just too similar to SEMrush in terms of features and between the two, I find SEMrush more reliable and cost-efficient (the PRO plan on Raven costs $99/month). But for some reason, if you’re not happy with SEMrush, you could try Raven Tools. Serpstat is yet another go-to tool for me when it comes keyword research and competition analysis. Serpstat allows you to do organic keyword tracking, spy on your competitor’s keywords, perform SEO site audits, PPC analysis, and much more. Serpstat offers a free plan wherein you can perform 30 searches and audit 100 pages in a month. Paid plans on Serpstat start from $19/month. Though there is room for improvement, I’m sure the team at Serpstat is more than qualified to upgrade and refine some its features to make it a top-quality SEO tool. And for $19/mo, there’s no reason to complain. Essentially a content marketing tool, Buzzsumo allows you to search for the most popular/shared content online for any given topic. The pro version of the tool allows you to see who has shared the content online and filter by type (such as influencers and brands) and location. A nifty feature if you’re planning to create similar (better) content online and then do an email outreach to promote your content. If you’re a fan of Brian Dean and his skyscraper technique, then Buzzsumo is the tool you should subscribe to right away in order to successfully implement skyscraper technique and get high quality backlinks. When combined with a blogger outreach tool like the next one on my list, Buzzsumo is a must-have tool to rank high in search engines. I thank my lucky stars and AppSumo for giving me a lifetime access to Ninja Outreach back in 2015. Since then, Ninja Outreach has been my de facto blogger outreach tool to reach out to influencers to promote my content and get quality backlinks. If you’re in search of a reliable blogger prospecting and outreach tool, then Ninja Outreach is just what you’re looking for. Moz had had a pretty rough last eighteen months with the scrapping of Moz Content and FollowerWonk, two content marketing tools that were challenging Buzzsumo. Furthermore, the company recently laid off 28% of its staff in an effort to shift their focus back to their SEO offerings. I’ve made my thoughts clear about Moz Pro in the past, mainly in this comparison article between SEMrush and Moz. While I’m a fan of Rand Fishkin, I’ve not been a huge fan of Moz Pro, the flagship SEO offering from the company. I always felt it was too pricey and didn’t offer enough bang for the buck. That said, the FollowerWonk fiasco turned out to be a blessing in disguise as Rand Fishkin and team got time and resources to focus on their core SEO product. I signed up for a Moz Pro trial recently and was really impressed with the improvements made by the tool. The user-interface is neat and features such as backlink data and on-page grader are more accurate. I also love the fact that they’ve spent considerable time building Moz Local into a powerful local SEO tool. I used Moz Local to optimize local search rankings for one of my clients in the travel industry and was fairly impressed with the results. Would I invest $99/month on this tool? Probably not, as most of the features offered by Moz are offered by SEMrush and Ahrefs as well. But there is no doubt in my mind that Moz will continue to set industry standards for SEO tools in 2019 and beyond. Want to gain a serious advantage over your organic competitors? Then start using Keyword Hero. If you use Google Analytics to track the performance on your website, you’ll know Google displays only 3% – 8% of the keywords people typed into the search box to get to your website. Most of the organic keywords are hidden under (not provided) section. This is where Keyword Hero comes in. By using Keyword Hero, you can uncover 95% of your site’s organic keywords. Armed with this knowledge, you can optimize the keywords on your website and improve your search rankings. All it takes is a simple 2-minute integration with your Google Analytics and Search Console account. 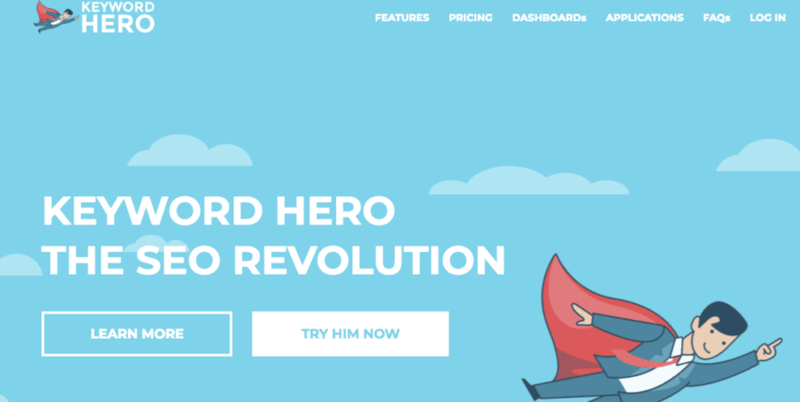 You can start using Keyword Hero for free. The free plan allows you track organic keywords from 25 most frequented URLs from your website. I’ll publish a detailed list of 35+ free SEO tools in a few days, but until then, try the aforementioned tools to improve SEO on your site without spending a penny. Hope you found this article useful. What are your go-to SEO tools in 2019? I’d love to hear from you. Please share your thoughts in the comments below. SEMrush vs Moz: Which SEO Tool is the Best? Editor’s note: This article was first published in Jan 2017, but has been completely revised and updated for 2019. Thanks for sharing Sandeep! Been using Buzzsumo and it’s been working really great so far. Have you personally used Semrush? I have heard a lot of good feedback about them. Thanks, Emmerey! I’ve been using SEMrush for quite a while now. You can check this comprehensive comparison article between SEMrush and Moz where I share my experience with both these tools. Does the HIGH PR (PR8 or PR9) Profile backlink have any effect positive effect? If yes then should i let them get indexed naturally or try something? Great post. Please how do I get the free ebook on link building.